Call center scheduling can be extremely tricky. It’s hard to know when a search is approaching, which times of the year you might be inundated with calls. Idle agents can eat payroll dollars, but at the same time you don’t want to understaff and allow callers to hang in your IVR. Unless your call center software is up to the task, it can be very difficult to add remote agents. If your software is not up to the task of handling calls just as if the agent was sitting in your contact center, it is time to upgrade. When it comes to getting things done, the phone is still king of contact. Inbound or outbound, softphone or PSTN, telephone calls make up the bulk of contacts whether it is for sales, services, fundraising, or even polling. With the rise of cloud-based computing, call centers no longer have to field servers and IT staff to service their call center. Moreover, anyone with an adequate laptop can be a call center agent using home-based call center software. Remote call center agents are flexible and available when a surge hits and off mowing their lawn when the calls drop. Moreover, telecommuting is a growing trend among companies of all sizes and industries – cloud-based innovations make it easier for people to work from home, just as if they were in a brick-and-mortar office. What Are Some of the Advantages and Disadvantages of Remote Workers? 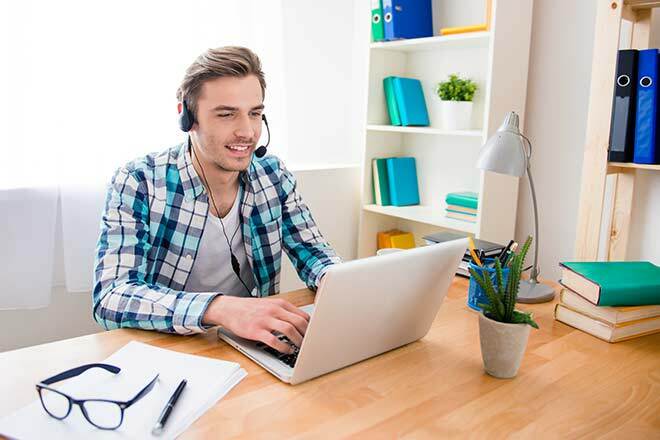 There are distinct advantages to using remote workers set up with home based call-center software. One of the primary consideration is deploying remote workers as a cost-cutting measure. Call centers often have considerable overhead because they employ hundreds of workers and require thousands of square feet of space. One agent at home instead of in a call center means less overhead. Remote agents can be paid on a per call basis instead of an hourly wage and can fill in from home during peak calling seasons. Using at home agents during the holiday sales season is a great way to manage seasonal worker payroll. Because remote agents can be hired in other states, your HR department can expand your reach in hiring cost effective call center staff. Your company will be much more competitive, enjoy potentially more advantageous overtime/minimum wage laws, even hire from a much larger pool of skilled independent contractors (ex. Language skills, expertise, etc.). Remote agents using home based call center software work from the comfort of their own home, instead of in a cubicle. They are comfortable and able to focus on their jobs rather than the hundreds of agents around them. Studies show that simply being at home increases morale and job satisfaction. If you’ve ever had to let go of a promising candidate simply because they live too far away, did not have reliable transportation or childcare, you can now hire anyone at any location, at any distance. ChaseData’s call center software has a reach that is truly global. 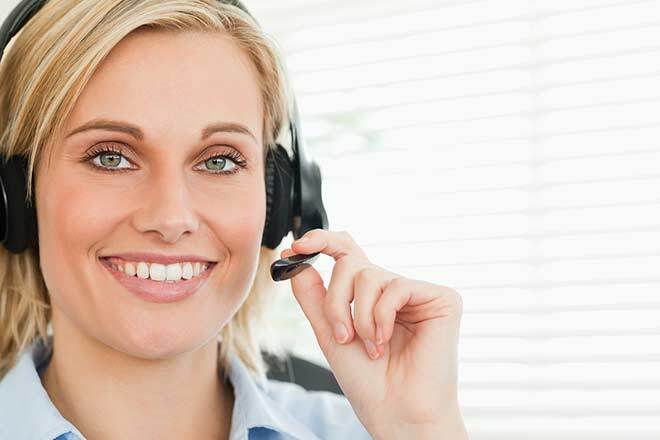 Employing call center agents who speak different languages is a great way to improve customer relations. Remote agents tend to be self-starters. They are often experienced call center employees who need less in the way of management then newer and less experienced employees. In fact, tier 2 and tier 3 remote workers can save considerable time, energy, and money simply by being on call. ChaseData’s performance analytics mean that supervisors and managers can keep tabs on remote workers that they are performing to standard. The same suite that tracks in-office workers can be used to handle remote workers all over the world. Of course, not everything is all rainbows and unicorns with off-site employees. As with any call center or business success depends on your organizations ability to maximize positives while eliminating negatives. It’s easier to slack off when the boss isn’t across the hall from you. Tools such as remote monitoring, group chats, etc. off-set these pitfalls. When agents are only paid per call instead of per hour or are hired as independent contractors they may not always be available when you need them. Hiring the right candidates upfront becomes much more important. Security issues may arise when remote workers are handling sensitive data. For this reason, home-based call center software should have a connection to a secure cloud server and encryption capabilities built-in like ChaseData’s. Also consider restricting access to sensitive information to your in-house call center staff and allowing only benign access to remote agents. Every company has its culture, and call centers are no different. Remote workers may not experience a sense of belonging, team spirit, or form friendships with coworkers unless you work to create these things for remote agents. Remote training can be a frustrating process when done remotely. ChaseData’s software works with all web-based training and e-learning platforms and allows for individualized live coaching and evaluations during calls. As you can see, there are some hurdles. However, with proper management, remote workers using home based call center software can become part of the “work family” and use the same software at home as your agents do on location. Hiring the best remote agents can take a few tips and tricks to make sure that you’re getting the best. Start with these tips to get you off on the right foot. During the hiring process, make sure that the new remote agent candidates have the proper computer and broadband access to the internet. Hire highly motivated and self-starting individuals. You don’t need a tier 2 helpdesk staffer who is going to be off playing Call of Duty. Nobody should have to ‘fly blind’ simply because they are not working at your physical call center. Make sure that all off-site workers are kept in the loop by using instant messaging, emails, texts, and other communications from their workstation. Periodic videoconferences help off-site people get to know their on-site co-workers. There’s nothing like periodic ‘face-to-face time’ with managers, supervisor and co-workers to build a sense of belonging for remote agents and your in-house staff alike. Using the analytics tools in supervisors and managers permissions, make sure to provide real-time feedback. Make sure that feedback is helpful and actionable. 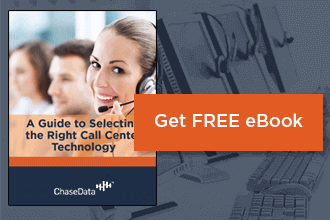 Call centers have relied on ChaseData’s software for more than 20 years. Across a wide variety of industries, we provide solutions and innovations that make operating a call center intuitive, cost-effective, flexible, and scalable. We are here 24 hours a day and seven days a week to support your needs and answer your questions. Get in touch with us and find out about our solutions for your issues. Start with the free demonstration, and then road test our software for free. On-site and offsite, our software works for you!